In September 2016, I began watching Milo Yiannopoulos’s campus tour. I started blogging about him because what I learned from watching his tour was how wrong the representation of him in the mainstream media had been, but also because I realized that he shared my hope to recover a respect for our Western culture and particularly our ideal of freedom of speech. I have published over sixty blog posts since that time talking about what he says, why his fans follow him, and how badly misrepresented he has been. I am acknowledged in his best-selling book as one of his sources of “intellectual nourishment” because I have also been writing about the values he and I share. I have met him in person and count him as a friend. I forwarded this screenshot to senior colleagues, asking what I should do. They told me: “She should get on with her academic work, stop worrying about you.” I took their advice and said nothing. 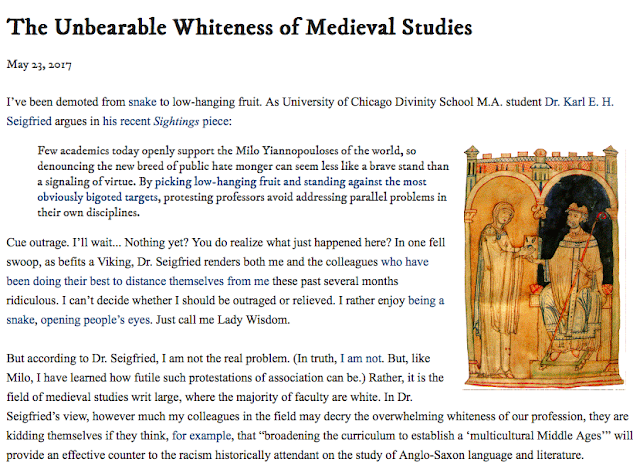 On August 28, 2017 [corrected], Dorothy Kim published her blog post “Teaching Medieval Studies in a Time of White Supremacy.” Given that she has been calling me a white supremacist for a good year, I took this as a direct attack against me. She has no other example of someone in our field of studies who might conceivably be called a white supremacist. 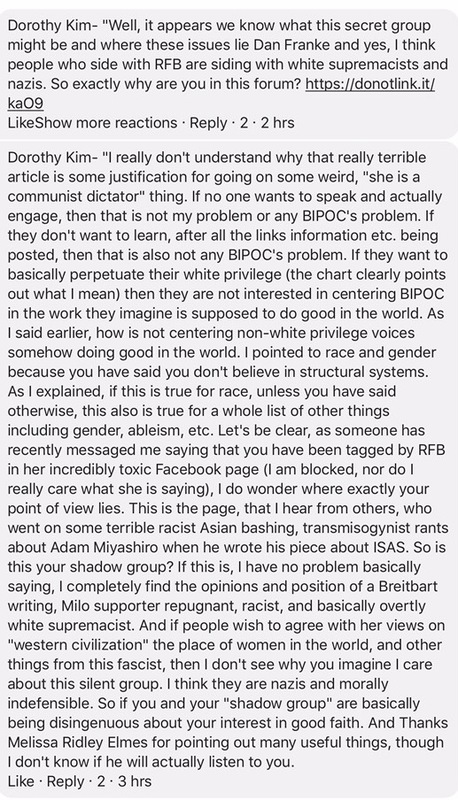 I wrote the post I published this past Thursday to demonstrate that she is also wrong about me. 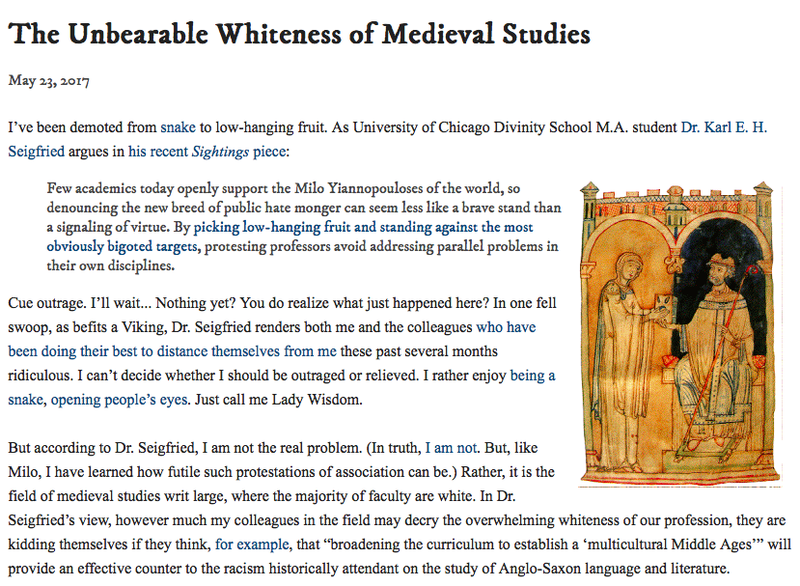 See MedievalGate for the fuller story of my adventures in academia as a conservative.